Earlier this year, the New York Times reported that Russia had been using Kaspersky brand antivirus software to probe federal systems within the United States. This cybersecurity breach by the Russians got the Kaspersky company completely banished from federal government computers. Essentially, the Obama administration had been providing an easily accessible path for the Russians to access untold quantities of data from our Federal Government. Under the guise of “Anti-virus Software”, the Kaspersky product was able to see all parts of the computers it was installed on. It’s hard to conceive that this had not been part of a larger scheme enacted by the Russian Government. Captain Higgins came onto the radar for Americans with his famous crimestopper videos, where he stared down criminals in St. Landry Parish during the news program and grilled them with toughness. It was only a matter of time before his wit and interrogation skills would manifest themselves in a congressional committee. 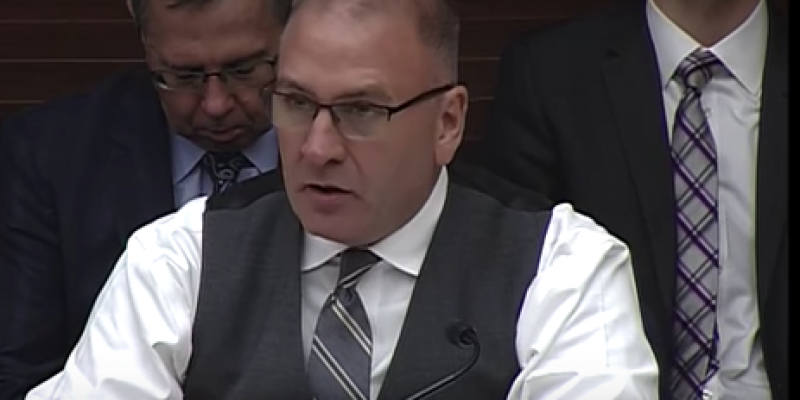 In a manner reminiscent of Trey Gowdy, cyber security advisors for the U.S. Government during the Obama years were grilled by the cop-turned-congressman. “I find it alarming that although it was rather well known in the cybersecurity realm that Kaspersky posed a particular risk, that we continued to do business with them until very recently,” said Higgins. Congressman Higgins carefully stitched together the connections between the Russian intelligence agencies and the Kaspersky company, entering the works of his investigation into the congressional record. “Mr. Chairman, Kaspersky products have over 400 million users nationwide. It’s widely known, Kaspersky’s ties to the FSB, that’s the Federal Security Service of the Russian Federation, FSB is a main successor to the Soviet Union’s former KGB. Kaspersky headquarters is headquartered in Moscow, in the former KGB headquarter buildings, in Lubyanka Square. And yet, in 2012, the United States State Department contracted with Kaspersky,” said Higgins. Higgins also revealed that the end user agreement for Kaspersky products – signed by all American users – did not comply with United States Law, but was designed rather to follow Russian law. The Russians were seemingly preparing for defending themselves later in international court. “The end user license agreement for Kaspersky Products, Mr. Chairman, according to my research, are governed by the laws of the Russian federation,” said Higgins. It’s astonishing how naive the Obama Administration, and the bureaucracies charged with overseeing Cyber Security for our nation have been. One has to wonder whether this is a sign of incompetence or actual collusion taking place in the Clinton State Department. One thing for sure. Pieces of this puzzle are steadily evolving over time. It doesn’t look like the Trump Campaign will be the ones who ultimately end up being indicted.